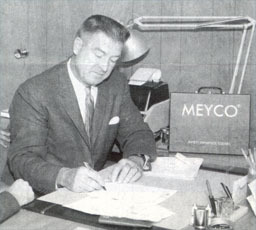 Fred J. Meyer, Jr. invented the safety pool cover in 1957 and created the Meyco Pool Cover division in 1959. For 60 years, Meyco’s skilled craftsmen have followed his Path to Quality so that Meyco covers exceed all ASTM standards for safety as well as many local safety requirements. With decades of expertise and four U.S. patents under our belts, Meyco incorporates state-of-the-art technology ensuring the principles of innovation and integrity live on in every Meyco pool cover. All MeycoLite™, RuggedMesh™, and PermaGuard™ covers are crafted to exacting specifications ensuring that each Meyco cover fits like a glove the first time, every time. Others may claim it, but in 1957, Fred J. Meyer, Jr., the founder of Meyco Pool Covers, INVENTED the ORIGINAL safety pool cover. In 1960, he was awarded a U.S. patent for his groundbreaking design. 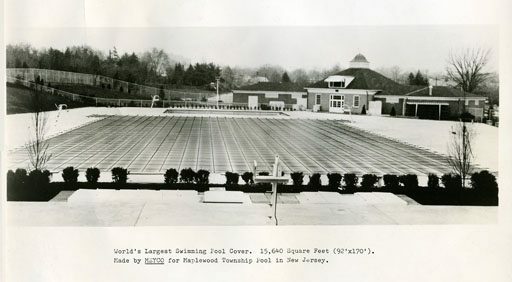 Keeping loved ones safe around a pool between swim seasons was the motivating factor in Mr. Meyer’s development of the mesh cover. Decades of improvements and four U.S. patents later, Meyco continues to offer an outstanding version of the original mesh safety pool cover that launched this industry. Meyco pool covers exceed all ASTM standards for safety as well as many local safety requirements. When properly secured to the pool decking, the cover’s crisscrossed webbing holds taut across the pool. Meyco pool covers can not blow off in a windstorm and are manufactured with straps capable of withstanding over 4,500 lbs. of tension. With 60 years of innovation under our belts, you can have confidence that a Meyco cover will out-perform the competition, safeguarding your family and your swimming pool between swim seasons. 1957, Fred J. Meyer, Jr., the founder of Meyco Pool Covers, INVENTED the ORIGINAL safety pool cover. In 1960, he was awarded a U.S. patent for his groundbreaking design.